d.a. 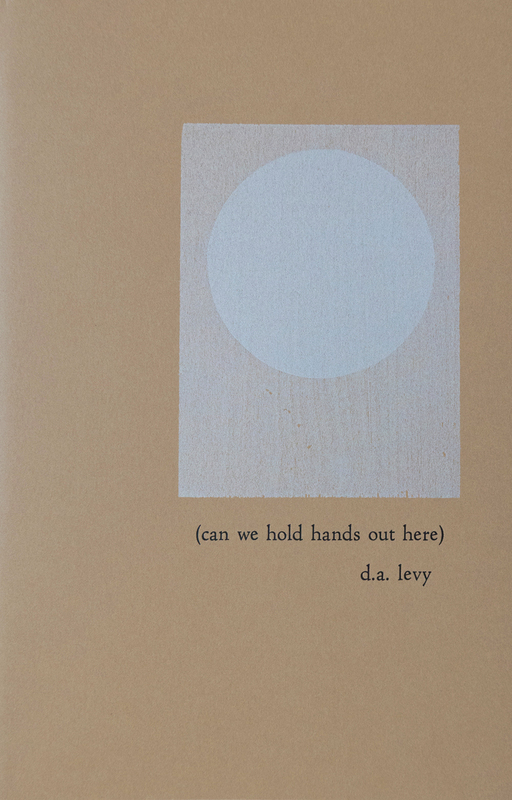 levy (1942–1968) was a poet from Cleveland, Ohio who published numerous letterpress and mimeograph publications, along with poetry journals and the underground newspaper “The Buddhist Third Class Junkmail Oracle.” (can we hold hands out here) brings together a number of levy’s poems with a selection of his concrete poems from the rare publication Scarab from 1967. 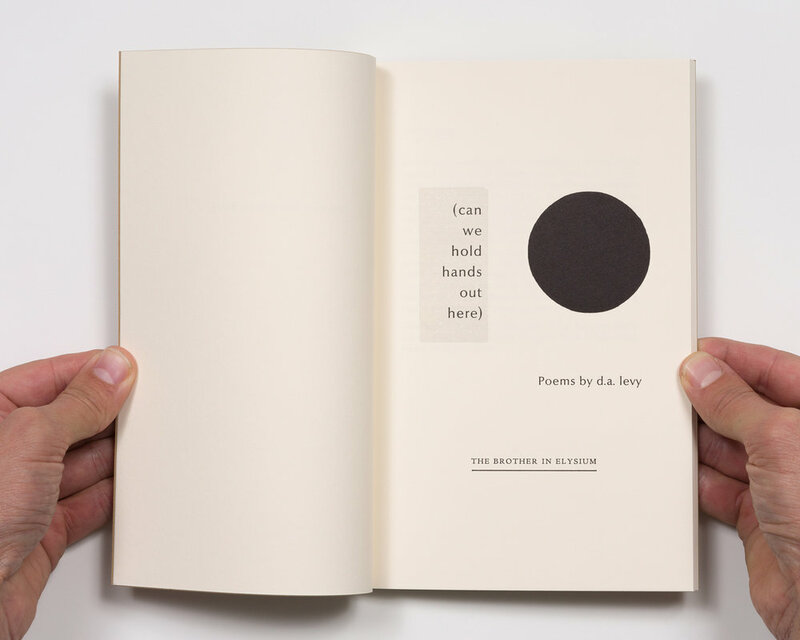 Includes an essay by Jon Beacham putting levy’s poetry and his role as a printer/publisher in the small press poetry scene in context.